A year and a half after the first demo of Project Maestro, Tableau has finally released his latest product: Tableau Prep. Tableau Prep is positioned as a standalone tool to “combine, shape, and clean data for analysis”. That puts Tableau Prep squarely in the same category as Alteryx, whose core functionality is data prep. The twist with the launch of Tableau Prep is the pricing strategy: it looks like Prep is bundled with existing Tableau Desktop & Server licenses and subscriptions. Why is Tableau bundling a separate product for essentially free? Why not incorporating the Prep features into the core Tableau Desktop experience, if Prep is not intended to generate a new line of revenue? My pure speculation is that at that stage, Prep as a V1 is not ready to stand on his own, and is still too weak to prevail in competitive situation. It will eventually mature into a solution worth paying for, but today, it is still too limited. I have been kicking the tires and will share my first impressions and hopefully justify my assessment. From that perspective, the growth of the number of customers looks steady and healthy, but is it really? Are we acquiring customers in 2017 as we did in 2015? Critical details, such as the number of orders per customers are buried within that mass of data. A better angle would be to depict the progression of those customers by cohorts, taking for reference the date of their first order to group them, and plot how are they growing in subsequent years. Have you ever found yourself in a situation where you need to filter a set of transactions based on categories which need to be calculated from that same set? Let’s say you have a data set containing all the customer responses triggered by your Marketing activity and you need to rank Marketing campaigns performance based on the number of first touch responses they originated. Another example more familiar to Tableau users: you have a full list of orders with line items from the Superstore data set and you need to filter customers based on the largest item’s product family they bought on their most recent order… Or how about showing on a map the revenue of customers who have been inactive for a year or more, based on the shipping address of their last order? Sounds like an awful lot of SQL steps, doesn’t it? All those scenarios revolve around the same meta problem: the need to switch between different levels of aggregated data within the same process. In other words, the filter is computed on a subset of the transactions, and we need to run that filter without destroying any information, nor storing the same information multiple times, which could work, but would be resource intensive and frankly inelegant. Why a post about Snowflake? What does Alteryx and Tableau have to do with Snowflake? 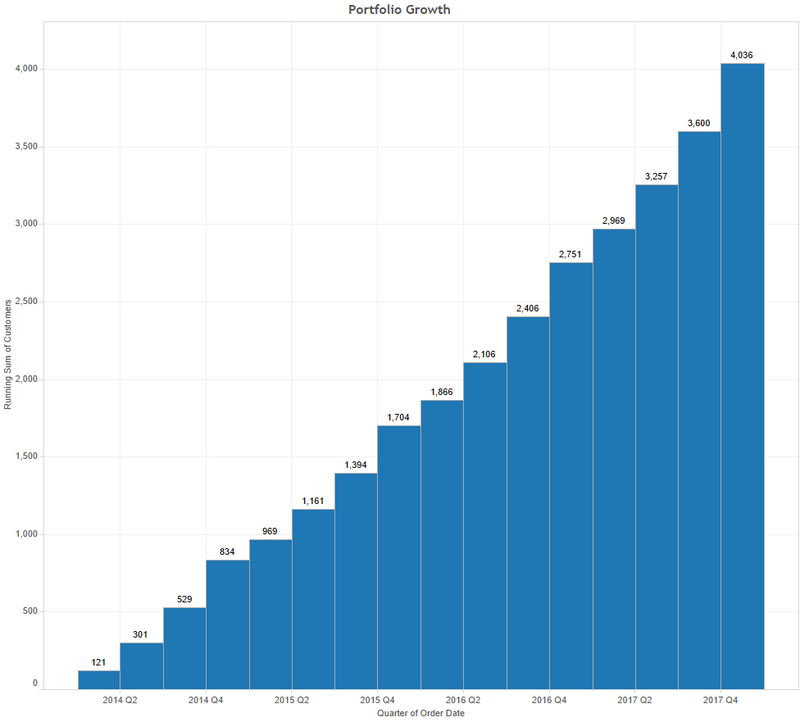 Here is some context: as I was planning to launch my Data Lake consulting business, which is now launched, I was looking for a place to store and share prototypes, which need to be queried from Tableau with high performance. Cloud databases offer the flexibility in terms of capacity, performance, pricing and portability that I was looking for. My experience testing the platform proved that that specific promise of easy administration is met, even though that simplicity does not extend to the overall experience. To put it another way, Snowflake is not Citizen Analyst ready yet, but with a bit of tweaking, and the research I will share below, it comes pretty close! To illustrate the step by step process, I will use the business scenario of a previous post: storing 27k rows of review data for a Word Cloud analysis. Marketo’s core expertise is Marketing Automation, a software category it pioneered along with Eloqua, Pardot, Hubspot, Adobe and now 208 additional vendors and counting. Marketo still holds a solid market share, especially on the West Coast, especially in Tech companies. For analysts and executives who love data, Marketing Automation platforms offer an attractive perspective besides operations: they capture large amounts of information on the individuals who comprise customer and prospect organizations, from the details of the websites and other assets they consume, to the forms they populate, the emails they receive, open, forward and many more indicators. Marketing Analytics are a fast growing field part of the sprawling Martech industry, necessary to allocate Marketing resource and improve performance. Alas, Analytics with Marketo have been mostly a tantalizing promise until June 2017. If all this data is indeed stored on the Marketo instance, users who stay within the Marketo interface can query the Lead database only, and NOT their Activities DB, that is the details of the transactions in time stamped sequences of identified individuals. The analyst willing to go beyond those restrictions was left with two options: either invest in the Marketo costly analytics upsell solution (no blending of external data allowed! ), or leverage the APIs to get the data his organization owns, out to a serious analytics platform of choice. 3. 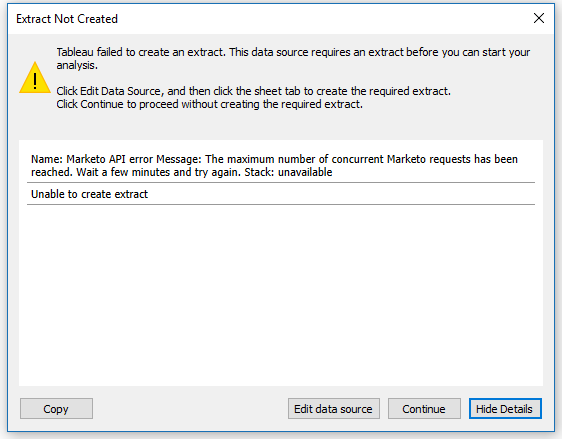 Marketo REST API Error code 6XX (Daily Quota): 10,000 API calls maximum per day. This is great news, but Marketo has not suddenly turned into a land of milk and honey. The new bulk approach is not as easy as one could expect and is still riddled with hoops to jump through. However, if you have read that far, you must already get why it’s a much bigger deal than Marketo makes it sound, (Campaigns Golden Path analysis anyone?) and you will be able by the end of this post to take immediate advantage of the new API. You will finally get your hands on stacks of your data , instead of just trickles.